Last week I went down to the DMV, which stands for D.C., Maryland, and Virginia for a Fall-Frolic Getaway! I only went for four days but that was plenty of time to be fun, flirty and carefree while frolicking on the streets of our Nation's Capital. To get there, I took the Bolt Bus from Newark Penn Station, NJ to Union Station, Washington D.C. Taking the bus is much more affordable than taking the train from NJ to DC. The Bolt Bus company has routes up and down the Northeast as well as the Pacific Northwest. If you are able to book your bus trip in advance sometimes you can get a $1 bus ride which always makes your frolicking even better! On my first full day in D.C., I went to Georgetown to walk around on M Street and do some window shopping. M Street made me feel as if I was walking through an old village with all the brick and low buildings. They had all the shops you would ever need, too! Everything from Sephora, to American Apparel to even a Sprinkles Cupcakes (even though their competitor is Georgetown Cupcakes). You can see all the shops they have here: Georgetown Shopping. One of the shops I went into on M Street was a Dean and DeLuca but it was not just your ordinary coffee shop; this one included a whole market inside! They had meats, fish, seasoning, wines, and most importantly pastries! I took this picture of the pastry display there. If I didn't have just eaten lunch prior to seeing the display, I would have bought one of everything! The following day I went to Meridian Hill Park to frolic around in the grass. It was a very pretty park with a gorgeous fountain in the middle of it. It would have been a perfect park to have a picnic in but I didn't plan for one! After my morning in the park I decided to walk up 18th Street and I was in the Adams Morgan District of D.C. It was so cute! Plenty of cute vintage shops, bars and restaurants. It is definitely a young and hip area and draws a much larger crowd in the evenings. From there I found myself at the National Zoo which is FREE and I LOVE free things! 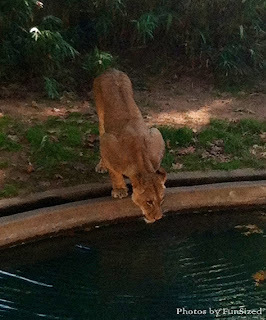 Not all of the animals were out frolicking because it was getting chilly out but there were enough to see to make me happy! The last big activity I did while in the DMV was going to the Philips Collection. 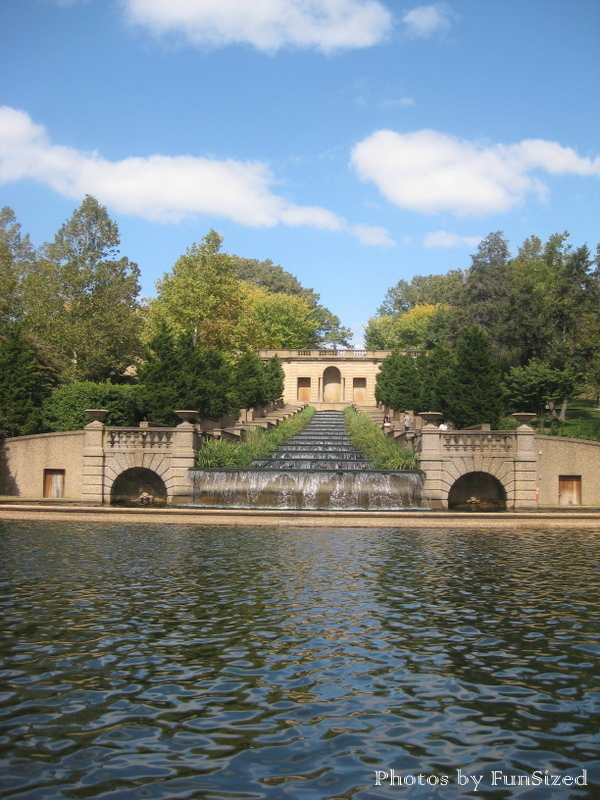 It is America's first modern art museum and it is the only art museum in D.C. that is in an actual mansion and not just a regular building. It is also the only art museum that is not free. It is free for 18 years old and younger, $10 for students and $12 for adults. It had some really stunning pieces throughout the museum. 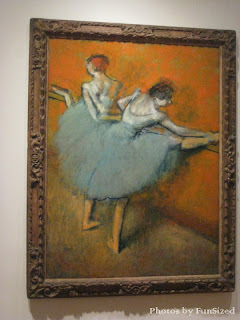 One piece that I found particularly interesting was a painting by Edgar Degas, titled, Dancers at the Barre. 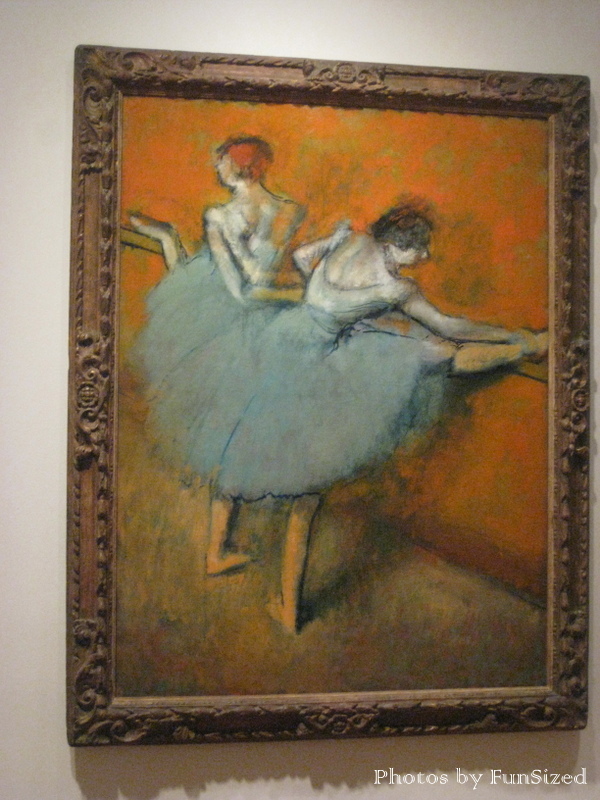 The tour guide spent some time discussing the proportions of the dancers in this painting and how when the painting was refurbished they were able to see that Degas changed the location of the dancer's arms and legs multiple times until he was satisfied. I had a great time and I can't wait until Spring time comes and I can go back down there to see the flowers in bloom. Until then... have you been to D.C. lately or are you planning a trip? What are some of your must-sees/dos? Tell me about your plans and let's make sure you have the best fun, flirty, carefree time while frolicking in the DMV. Labels: Adams Morgan District, Allyson Berger, Bolt Bus, Dean and DeLuca, Edgar Degas, FunSized, Georgetown, M Street, Meridian Hill Park, National Zoo, Phillips Collection, Potomac River, Union Station, Washington D.C.